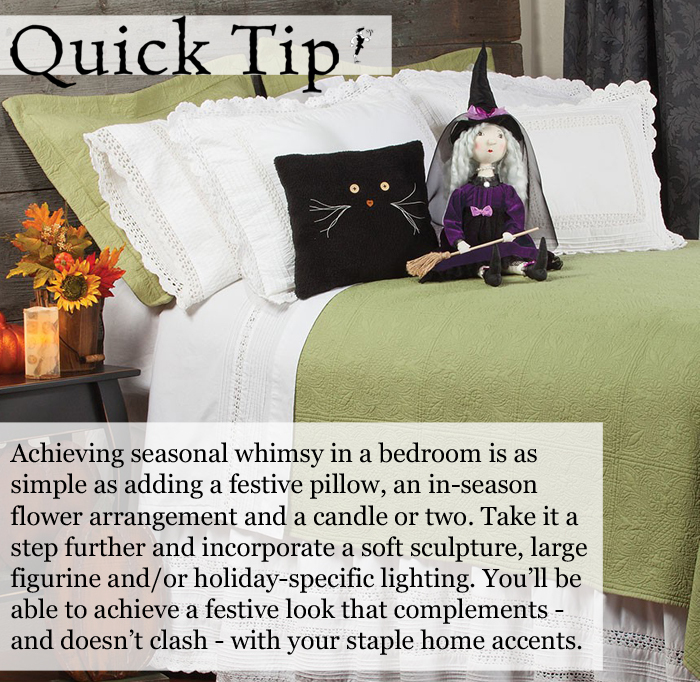 Achieving seasonal whimsy in a bedroom is as simple as adding a festive accent pillow, an in-season flower arrangement, wreath or garland, and adding a candle or two. Take it a step further and incorporate a soft sculpture, large figurine and/or holiday-specific lighting. 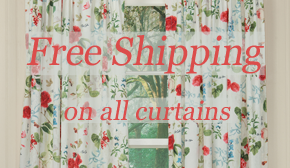 You will be able to achieve a festive look that complements – and doesn’t clash – with your staple home accents. This entry was posted on Thursday, September 6th, 2018 at 7:00 am	and is filed under Bedroom, Holiday Decorating, Quick Tips, Seasonal Decorating, Thematic. You can follow any responses to this entry through the RSS 2.0 feed. You can leave a response, or trackback from your own site.